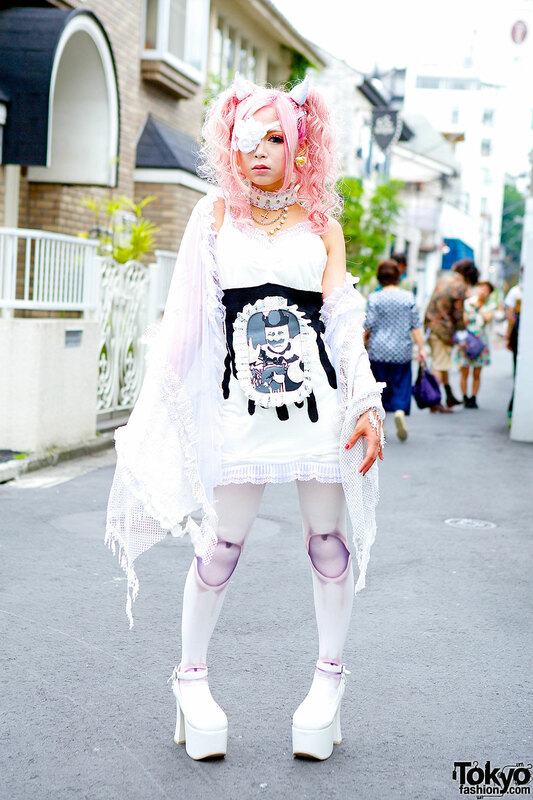 Harajuku model with pink hair, devil horns and eye patch with white outfit and platform heels. 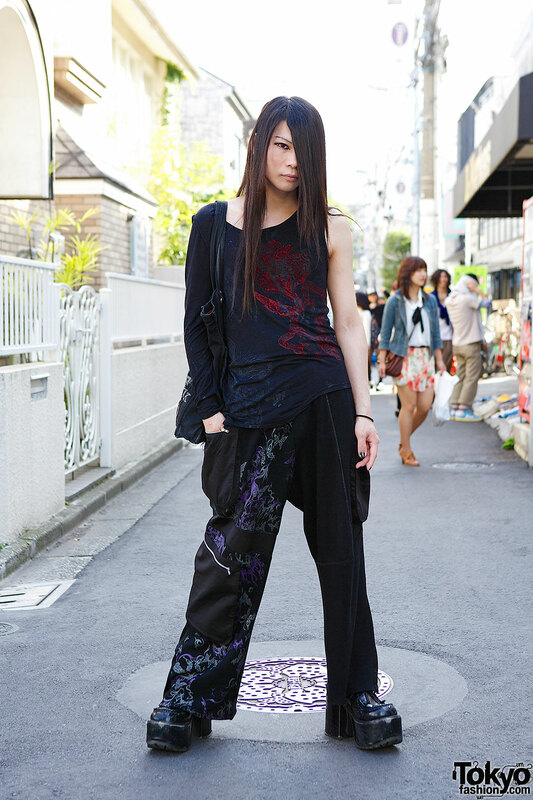 Visual Kei fan’s Harajuku fashion with wide leg pants, tank top, heeled boots and tote bag. 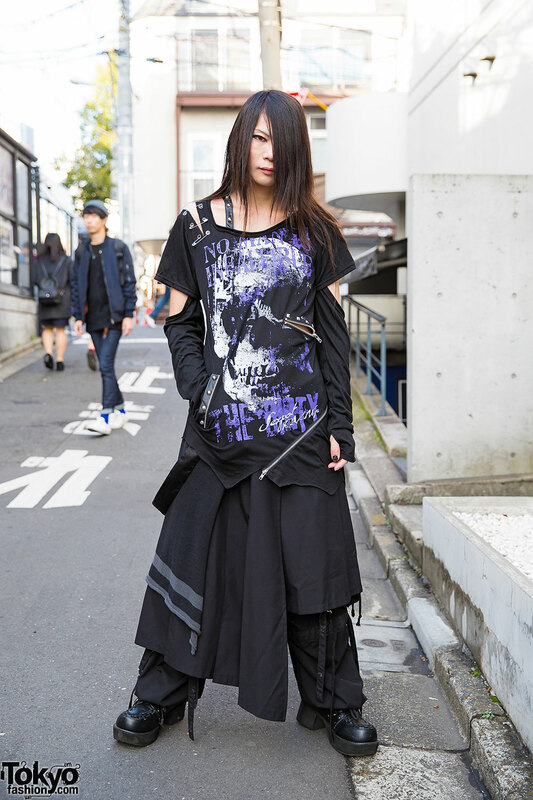 Harajuku model Rumanjyu wearing a gothic outfit with garter stockings, mini skirt, corset belt and handmade hat.